Assessments evaluate such key driving abilities as reaction time, decision-making, speed, judgment, attention, concentration and depth perception. Occupational Therapists perform assessments to determine the precise issues impacting our clients' driving capabilities. Assessments evaluate such key driving abilities as reaction time, decision-making speed, judgment, attention, concentration and depth perception. Typically, the client will participate in an in-clinic assessment with an Occupational Therapist. The clinical assessment is approximately 1 ½ hours in length. Depending on the specific conditions of the client, the client's physical function, vision, visual perception, and cognition may be assessed as it relates to driving. 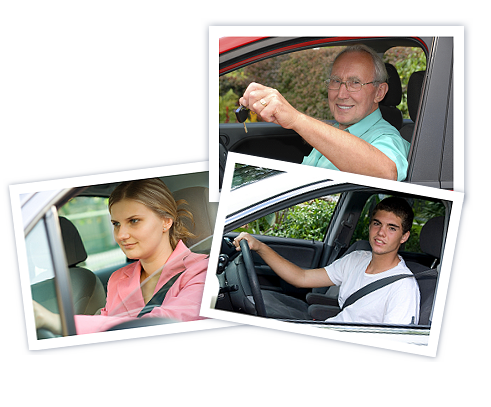 The in-clinic assessment is followed by an On-Road Evaluation which is conducted by a Certified Driving Instructor and an Occupational Therapist in a DriveAgain vehicle. The vehicle is equipped with dual brakes for safety purposes and with adaptive equipment if required. The results and the recommendations of the assessments are discussed with the client following the assessment. A report will be sent to the client, and if applicable to the referral source and Ministry of Transportation of Ontario-Medical Review Section with the consent of the client. A prescription for adaptive equipment and/or a modified vehicle will be written if applicable. Typically, the DriveAgain Occupational Therapist and Certified Driving Instructor will travel to the client's home and conduct the assessment in the client's neighbourhood in order to avoid the client's travel to/from the DriveAgain office, which may elicit anxiety. The assessment consists of an interview with the client, completion of anxiety questionnaires, and a drive in the DriveAgain vehicle with the client as a passenger and/or driver according to the comfort of the client. The results and the recommendations of the assessments are discussed with the client following the assessment. A report will be sent to the client, and if applicable to the referral source and other health care professionals involved in the client's care with the consent of the client. © 2016 Drive Again. All Rights Reserved.